Nocatee community in Ponte Vedra, Florida. The Town of Nocatee is a new master-planned community and a coastal town located in northeastern St. Johns County and southeastern Duval County. 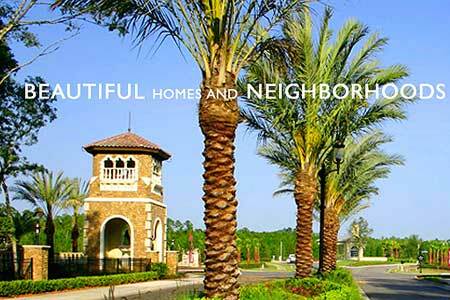 A recepient of 2008 Florida SMC Excel Awards, Nocatee is voted the Best Green Community. Nocatee offers a unique opportunity for a quality of life where residents will live, work, shop, attend school and play all within the same community. Live with the best of nature right next door. Beautiful homes set against acres of lush, undisturbed nature preserve with plenty of parks and trails. There will also be a vibrant town center where neighbors can work, shop and play just minutes from Ponte Vedra Beach. In fact, Nocatee has a Ponte Vedra address and its own zipcode. See site map. 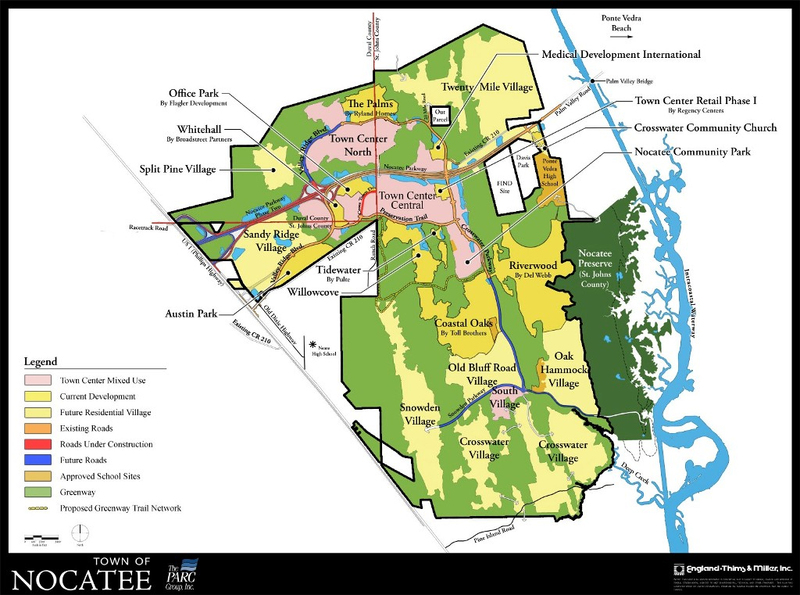 Nocatee is 30 square miles, or 15,000 acres, of which 85% is in St. Jonhs County, 15% in Duval County and almost 9,000 acres will be committed to conservation and preservation. The master-planned community will evolve gradually over 25 years in five carefully planned phases. Eventually the community will have 14,200 dwellings of both single-family and multi-family residences, three golf courses, 4 million square feet of office space, 1 million square feet of commercial space, and 5,000 acres of greenways. Walking trails, bicycle and electric cart paths will interconnect residential villages, the Greenway, recreational areas and the Town Center. Nocatee has reserved land for six elementary schools, two middle schools, and one high school. These school sites will be donated to the St. Johns County School District as needed. Designated schools for current calendar year: Rowlings Element School, Landrum Middle School and Nease High School. Due to growth, school districts are subject to change. To ensure the location for your child, please contact the Student Services Department of the St. Johns County School District at (904) 819-7500 or visit www.stjohns.k12.fl.us. Most residential Villages will have a school within walking or biking distance from the homes. 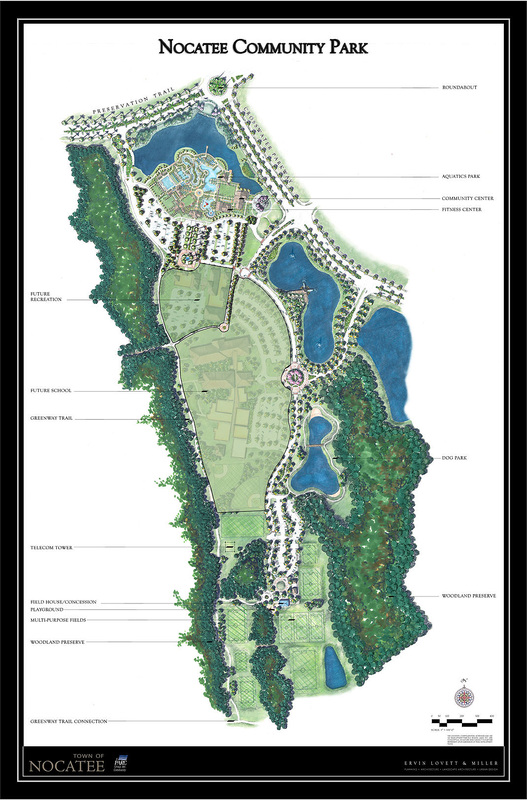 Nocatee will have a distinctive system of parks totaling approximately 300 acres in all. The Town Center Community Park will feature a spectacular aquatics park, a flagship YMCA, multiple athletic fields, an amphitheater, and a playground. Nocatee's residents will also enjoy the Greenway Trail System, which will provide a peaceful area for jogging, biking, hiking, or just enjoying nature. See community park map. Austin Park by Cornerstone Homes priced from the $350's. Coastal Oaks by Toll Brothers priced from the $400's. Riverwood by Del Webb featuring an active adult community. The Palms by Ryland Homes priced from the mid $200's. Tidewater by Pulte Homes pricing from the $200's. Willowcove by Centex Homes and Lennar Homes from the $250's. Please contact me if your are interested in having an independent REALTOR® who does not work for the developer represents you. There is no cost to you for my professional service. Call (904) 307-8998 for more information.